Heritage homes a headache or a duty? COMMUNITIES are often outraged by plans to redevelop popular public heritage buildings, but shy away if a council decides to put private homes on the heritage list. And that’s because listed property owners are not only expected to maintain heritage status, but they must also forgo the development rights enjoyed by owners of ordinary buildings – obligations that can result in deliberate neglect or destruction, says heritage adviser Garry Stanley. “I think if people are forced into being heritage-listed, they might do things deliberately to harm the property and there is some evidence of that occurring,” he says. Federal and state governments have failed to take a consistent national approach to conservation, contributing to losses of heritage stock, according to a 2006 Productivity Commission report, Conservation of Australia’s Historic Places. Another 15 per cent of listed heritage buildings and places – 90 per cent of which are privately owned – could be lost by 2030 if present trends continue, the report says. Heritage places in rural areas and urban redevelopment zones are at the greatest risk, and when private owners are faced with heritage listing and the associated costs the reactions are frequently negative. It may explain mysterious building collapses, fires deliberately lit and brazen holiday-weekend building demolitions. Under the present system, places and buildings can be identified as having heritage significance at any time as the result of a formal heritage study or via an individual submission to government. The government decision as to whether to list takes no account of the financial status of the owner, but focuses on the merits of the case for heritage status according to accepted criteria. Once the listing process has been formalised on the council plan, that decision remains final, applying to the building in perpetuity irrespective of who owns it. The community is divided over heritage listings. Gregg & Kaufmann Real Estate director Zsuzsanna Kaufmann says the community fought “tooth and nail” to protect Nutcote, the former home of author May Gibbs on Sydney’s lower north shore, from redevelopment in the early 1980s. “People went on the streets with banners … so it could not be redeveloped and it remains what it is. “I’ll bet my bottom dollar that at least two-thirds of the people who were carrying banners would have absolutely bombarded council with objections if their home was put on to a heritage list. Heritage experts such as Mary-Lynne Taylor, a consultant lawyer at Bartier Perry in Sydney and former member of the NSW Heritage Council, argue listing processes should be subject to formal appeal. Under NSW law, there is no process for appealing a heritage listing. “The only thing to do is to apply for a development that would allow it to be demolished,” she says. Rappoport Heritage Consultants principal Paul Rappoport says under the present system of listing private owners are faced with the obligation and cost of maintaining their heritage properties, but it’s the community that gets much of the benefit. “A heritage listing immediately imposes limitations on development, and maintenance,” Rappoport says. The case for greater flexibility in listing is supported by Stanley. 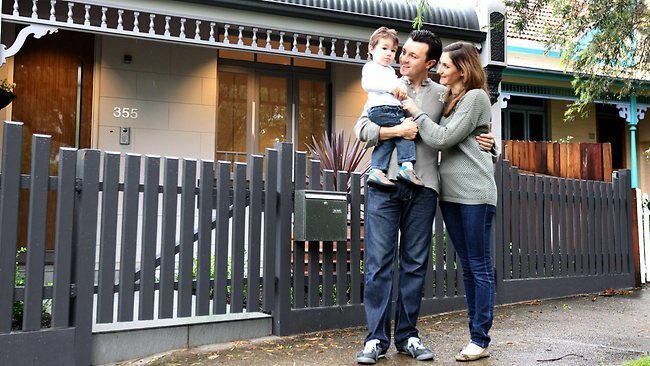 Some NSW and Victorian councils give the property owner an option whether their houses are listed, but this system does not apply in every case. However, in some established conservation areas homeowners take the initiative to upgrade their properties without the need for council intervention. “People are going to great expense to remove 1960s aluminium windows and replace them with traditional timber ones, because they see that their house is losing value,” Stanley says. On the flip side, Stanley points to one of the most problematic reasons for loss of heritage arising from unthinking neglect by owners in rural areas. Hidden from view in larger properties are many significant heritage buildings. Because of various factors such as climate change, changing agricultural technology – who uses a stable these days? – or changing family circumstances properties with significant heritage value are rotting away with no effort to save them. “For such hidden heritage there is little prospect of government fronting up the cash to save it,” Stanley says.